Wii 2: HD and a touchscreen controller? Wii 2 - unveiled in June? UDPATE: Nintendo has confirmed that it will unveil a second-generation 'Wii 2' at this year's E3 in June. Check out Wii 2 news and rumours: what you need to know for the details. 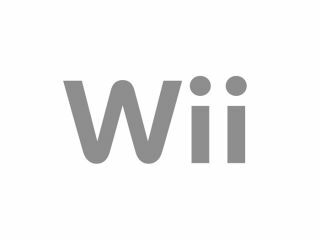 The Nintendo Wii 2 will apparently bring a whole new controller with an "HD" screen on it, and will be more powerful than both the PS3 and Xbox 360, according to CVG. Quoting a 'well-placed industry source', CVG suggests that Nintendo will push the boat out for its next generation Wii successor, suggesting there will be a screen on the controller itself. "Nintendo's plans sound unreal," the source said. "Publishers are already planning launch titles and it's all very exciting." "The hardware is even more powerful than current HD consoles and backwards compatible with Wii," they continued. "The controller will be all-new and has a HD screen on it." It sounds a lot like we're going to be seeing what is in effect a mini iPad or cut off second DS screen as a controller – which certainly has plenty of potential, and the chances are that it would be touch enabled. And, yet more stories abound, the console will be making its first appearance at E3 in June – with a late 2012 launch mooted.